Allermyl Shampoo is a foaming micro-emulsion and unscented shampoo for cats and dogs. 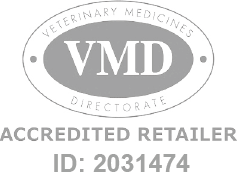 Allermyl Shampoo is a Prescription Only Veterinary Medicine and by law requires a prescription from your vet. Regular use of Allermyl helps soothe irritated skin in dogs and cats.